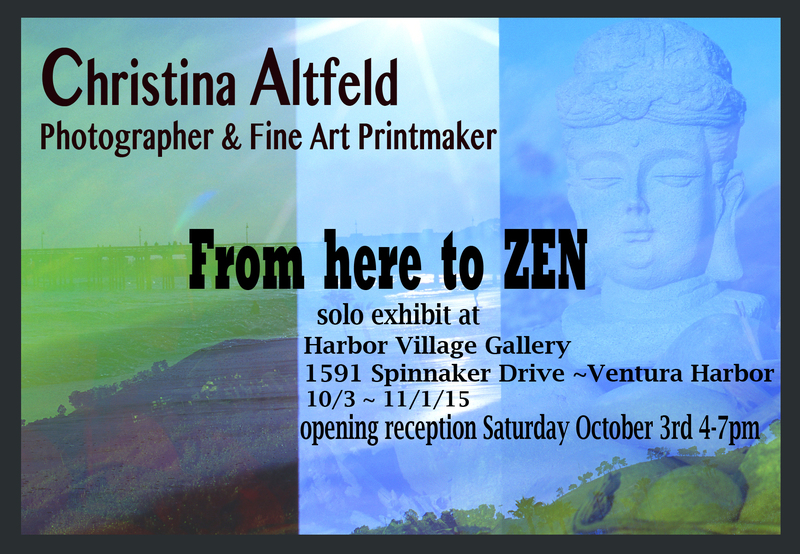 Hope you can join me Saturday October 3rd 4-7 pm for my “Here to ZEN” exhibit. In addition to a couple of multi-exposure photographs that are printed on canvas and museum wrapped, I have new hand-pulled etchings and monoprints, I think you’ll love the sweet little mini-prints that are available both framed and unframed. It’s such a great outing to wander around the boat harbor. Come on by.